I served in the Parque Urquiza neighborhood of the city of Rosario, Argentina from December 18, 1996 to February 18, 1997. It was the ward in the very geographic heart of the city. Like all the areas in which I served, it was very enjoyable in many ways, and had it’s unique challenges in other ways. Prior to me arriving in this area, as I recall, this ward had not had a baptism in a long time. With the help of the Lord, though, we were able to see many good people brought into the Church through the waters of baptism while I was there. 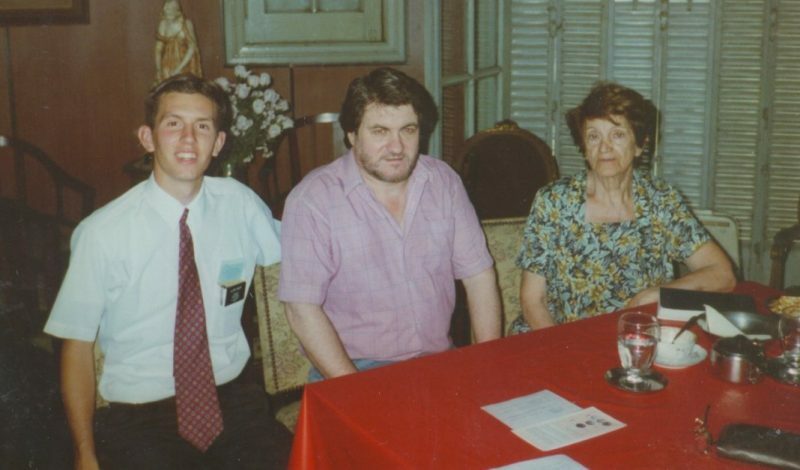 This is Juan Carlos Lopez and his mother with me at their apartment. From the way we met Juan Carlos to his ultimate conversion and baptism, his story was filled with the miracles of God. 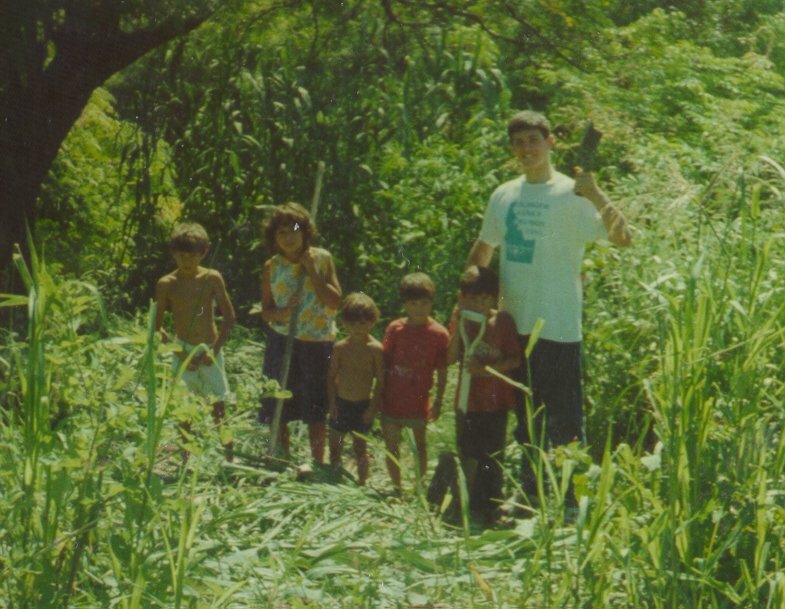 Click here to read more about the conversion story of Juan Carlos. 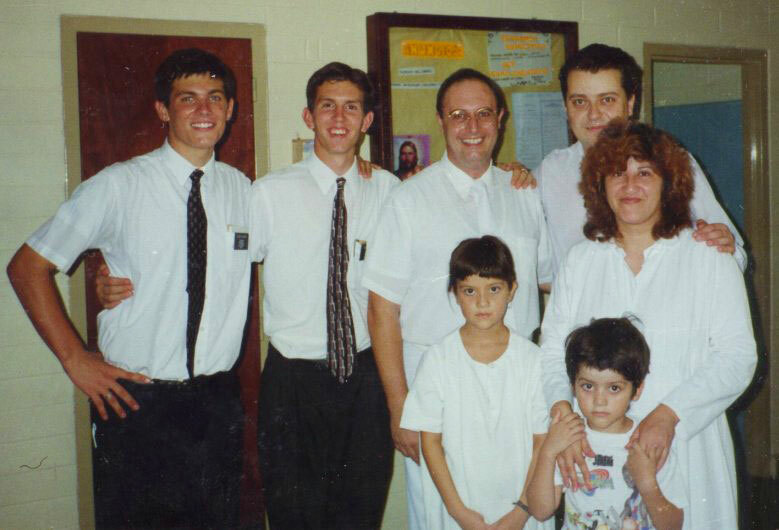 Here is a photo of the baptism of Juan Carlos Lopez on January 19, 1997. 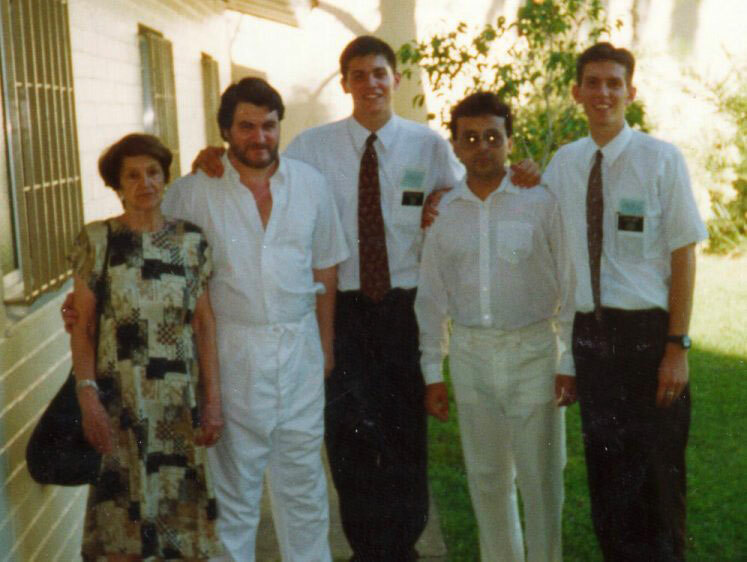 From left to right: Juan Carlos’s mother, Juan Carlos, Elder Wasden, a local member, and myself, Elder Jimmy Smith. This is the Laurino family. I really enjoyed meeting them and teaching them the discussions and seeing their whole family come into the waters of baptism. 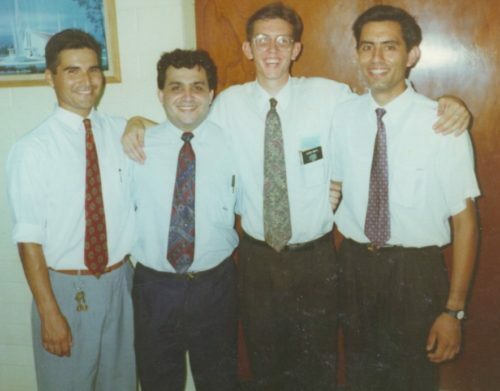 A few years ago, I connected with Brother Laurino on Facebook and found out that his youngest son, the baby in the picture, was preparing to serve a full-time mission. That gave me much joy and satisfaction. 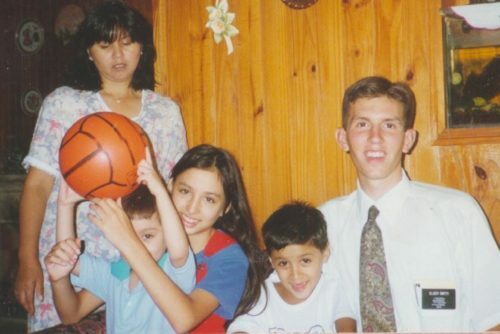 I felt like Alma who, when he was reunited with the sons of Mosiah, “did rejoice exceedingly to see his brethren; and what added more to his joy, they were still his brethren in the Lord” (Alma 17:2). 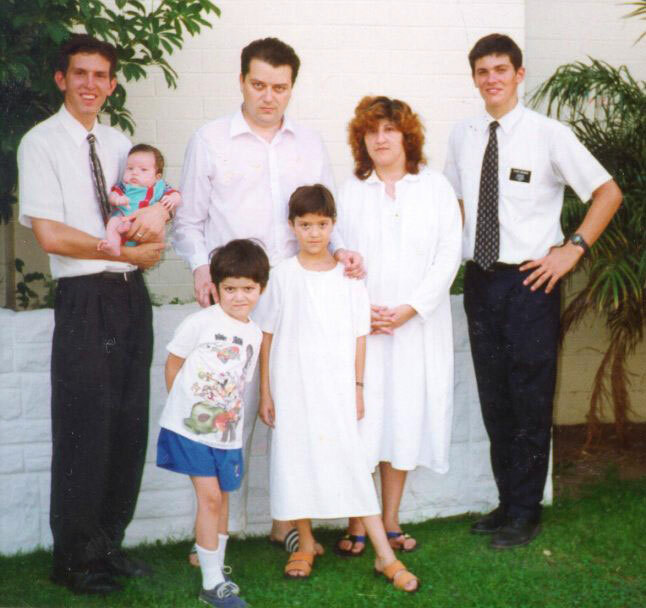 Here’s another picture of the Laurino family–this one with the stake president, Krasnoselski, who performed the baptism. This is the wife and children of the Parque Urquiza Ward bishop, Cabrera. This family fed us lunch frequently, for which we were very grateful. I also enjoyed spending time with them, as they reminded me of my own family back home. 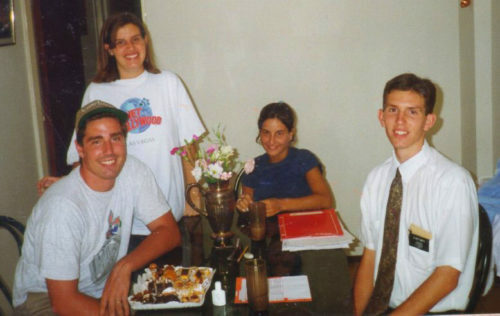 This is Steve Regis, a member of the stake high council, and his wife and sister in law. Steve grew up in California, and I heard he may have later moved back to the US, but we have not connected since the mission. 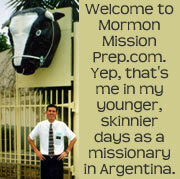 I remember a powerful lesson he gave one Sunday about the Prophet Joseph Smith. This is the bishopric of the Parque Urquiza Ward. From left to right: A brother who’s name I don’t recall, Bishop Cabrera, and Brother Burgeño. 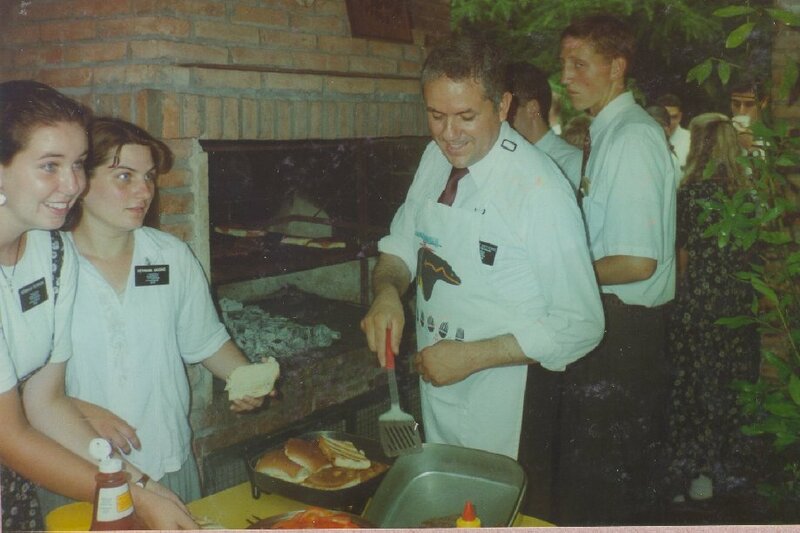 As I recall, Brother Burgeño got married and sealed to his wife in the Buenos Airies Temple while I was serving there. This is Brother Cutri and his daughter Joanna. 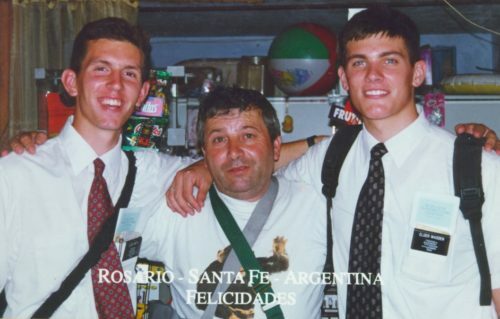 Brother Cutri is Argentine, but he raised his family in California and they spoke perfect English. I remember Brother Cutri coming with us one day to teach a discussion to Juan Carlos Lopez and we appreciated his support. This is the Fuentes family, a hard working and faithful family in the ward in Parque Urquiza. From left to right: An aunt, Grandma Fuentes, Daiana, Maria Belen, Luis, Cookie, and myself. 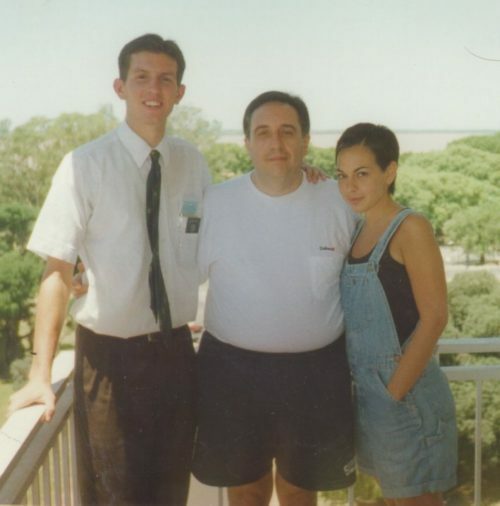 On my first day in the Parque Urquiza ward, this man, a professional photographer and former church investigator that the missionaries had worked with, took this picture of Elder Wasden and I. The missionary district Parque Urquiza. 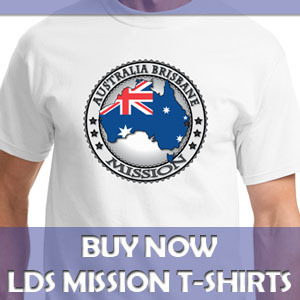 I don’t remember these missionaries very well. We really only saw them once a week at district meeting. This is my companion, Elder Wasden, and I will the zone leaders/district leaders. 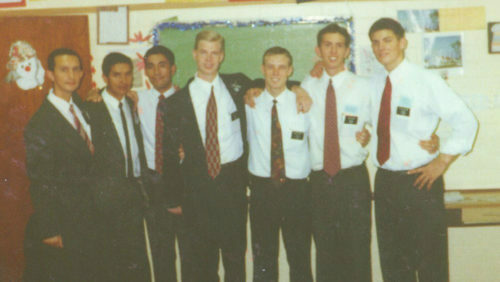 From left to right: Elders Staffanson, Rindlisbacher, Smith, and Wasden. 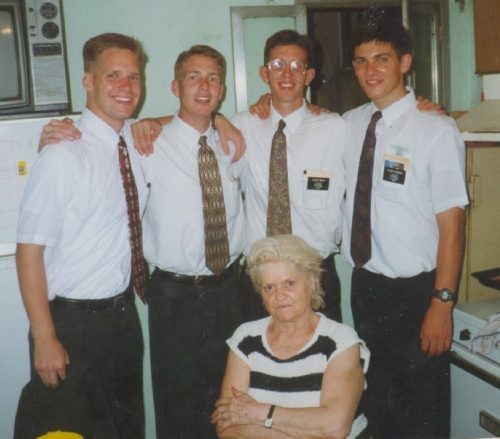 The lady in front is the land lord for Elders Staffanson and Rindlisbacher. She was upset that day because one of them was being transferred. The Rosario Zone. 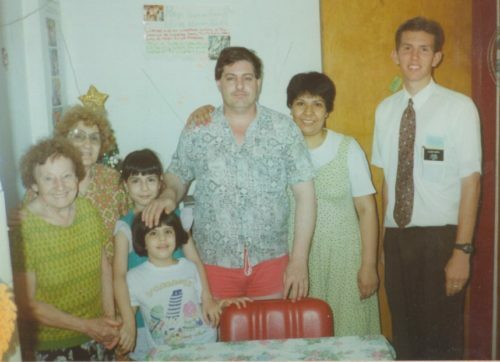 A Christmas day 1996 get together at the mission home. Here’s our mission president, Presidente Ontiveros grilling up some hamburgers at the Christmas day 1996 get together at the mission home. Who doesn’t do a back yard bar-b-que for Christmas? 🙂 But you do need to remember that Christmas occurs in the middle of summer in Argentina. This looks we’re deep in the jungle, but it’s actually right in the city. 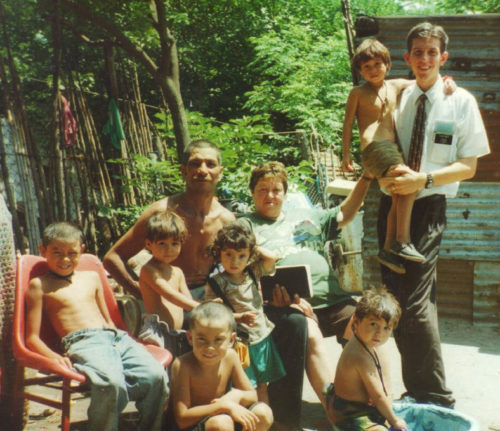 This is a day when Elder Wasden and I did some service cutting some grass for a poor family we met. Here’s the family. We met the father when he was pulling his cart, a old car axle and tires, around the city…a real modern day pioneer hand cart. Me in on the 20th floor of an apartment building looking out over our area. 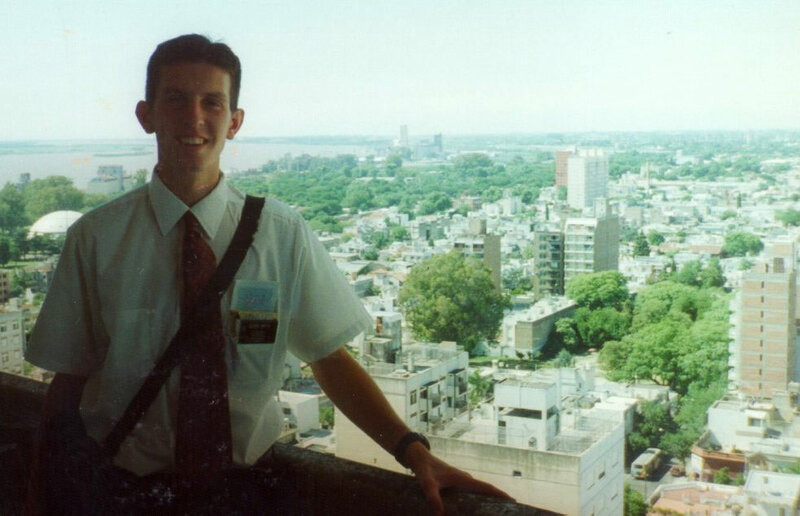 You can see the Rio Paraná (Paraná River) in the background. 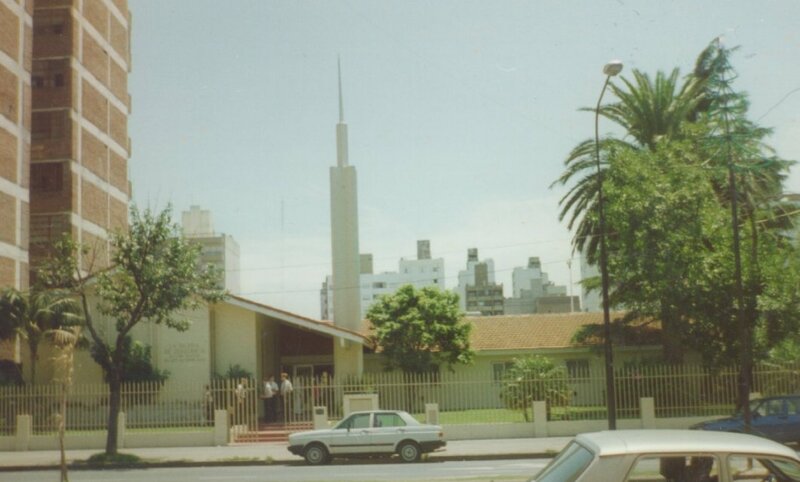 The meeting house for the Parque Urquiza ward. This chapel and grounds were very nice with a basketball court / concrete soccer field in the back. The building was a major contrast to all the high rise buildings around it. 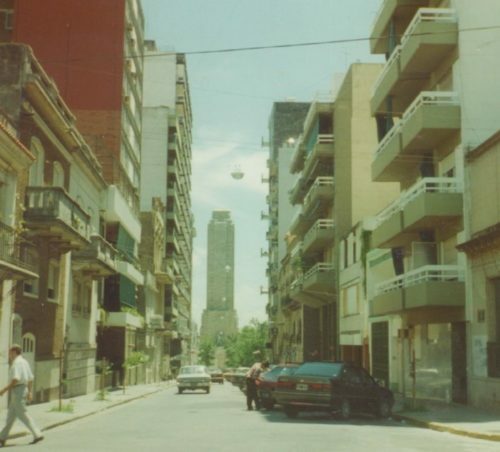 A city street in our area with the Monument to the Bandera (Flag) in the background. 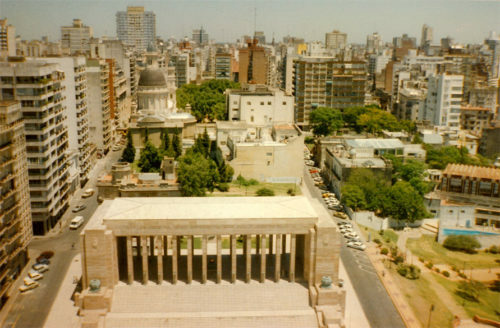 A view of our area from the Monument to the Bandera (Flag), one of the few historical/cultural sites I visited during my mission. 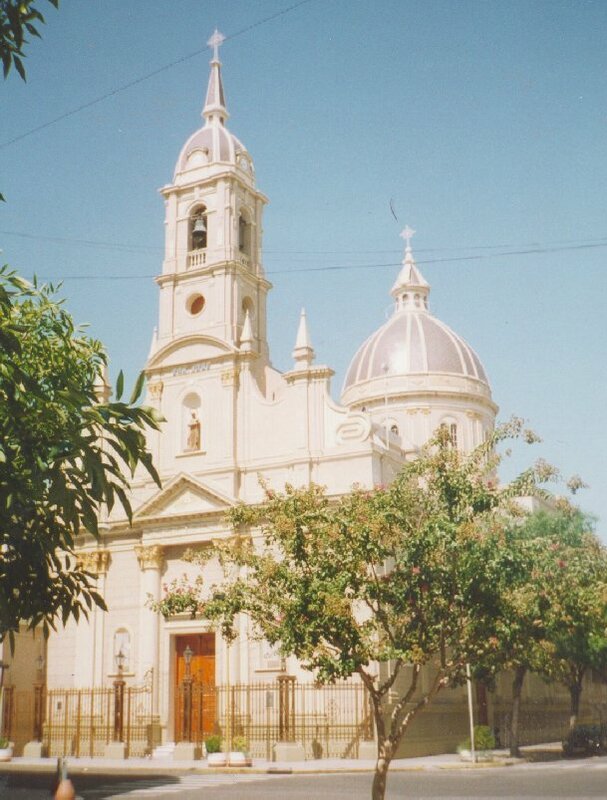 This is a Catholic Cathedral located in the Parque Urquiza area. I thought it was a beautiful building, so I snapped a picture of it. I have a picture of the apartment I lived in for most of my mission areas but I can’t find one for this area. But these two pictures were taken inside my apartment. 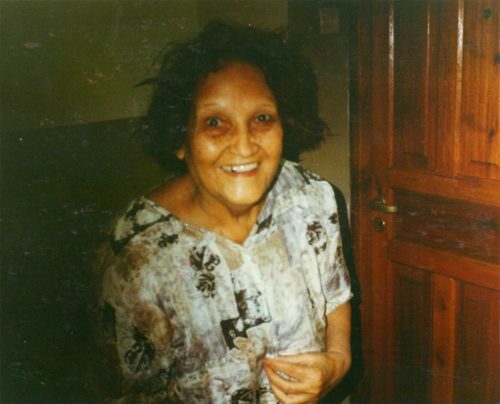 This was our land lady, Adelia. We shared the apartment with her. She cooked us lunch and dinner from time to time, which was very nice of her. This picture was after she got caught in a rain storm. 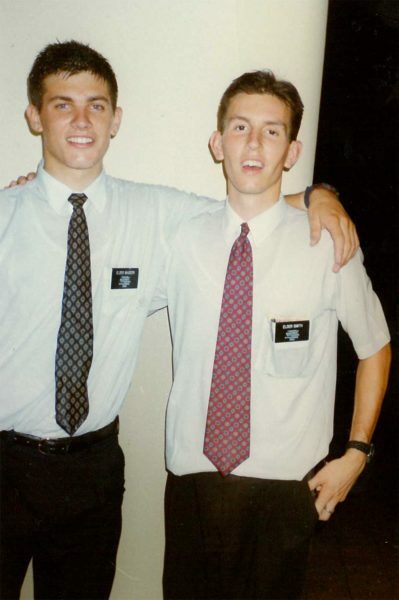 Elder Wasden and I got caught in the same rain shower.